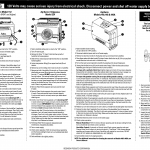 Proper maintenance of your humidifier is essential to avoiding dry winter air in your home. The majority of our humidifiers require a water panel change once a year, right before the heating season. 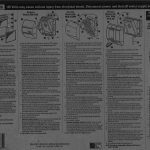 The basic procedure is to turn off the water, remove the cover of the humidifier, pull out the old water panel and drop in a new one. 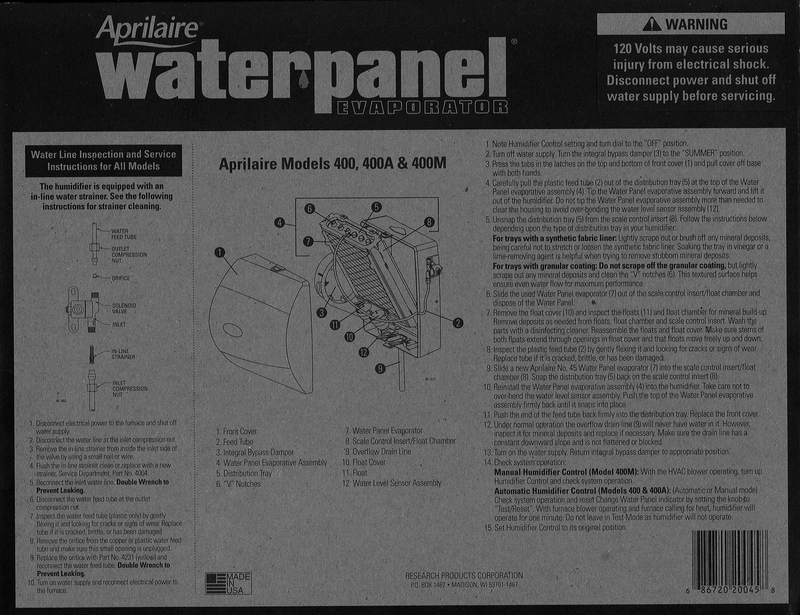 Regardless of the age of your humidifier, it will take one of four Aprilaire Water Panels: 10, 12, 35, or 45. 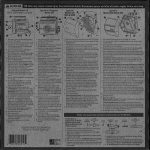 See the chart below to determine which is correct for your humidifier. You can also view the owner’s manual on our website or order one at our e-store. Each humidifier does have some unique steps you many encounter. 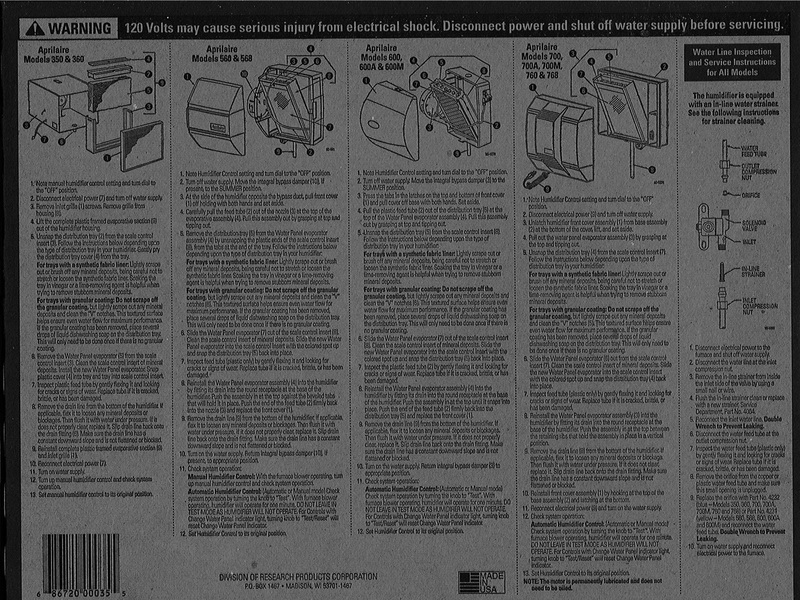 The best way to make sure you’re installing it correctly is to use the instructions printed on the back of the carton. 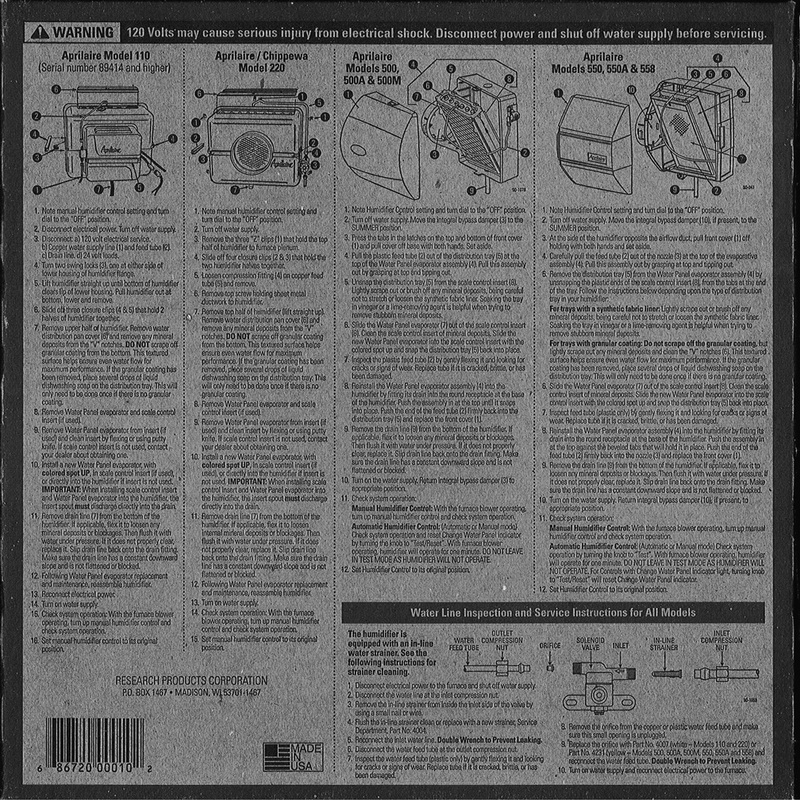 These detailed instructions are just one more benefit to using genuine Aprilaire parts. 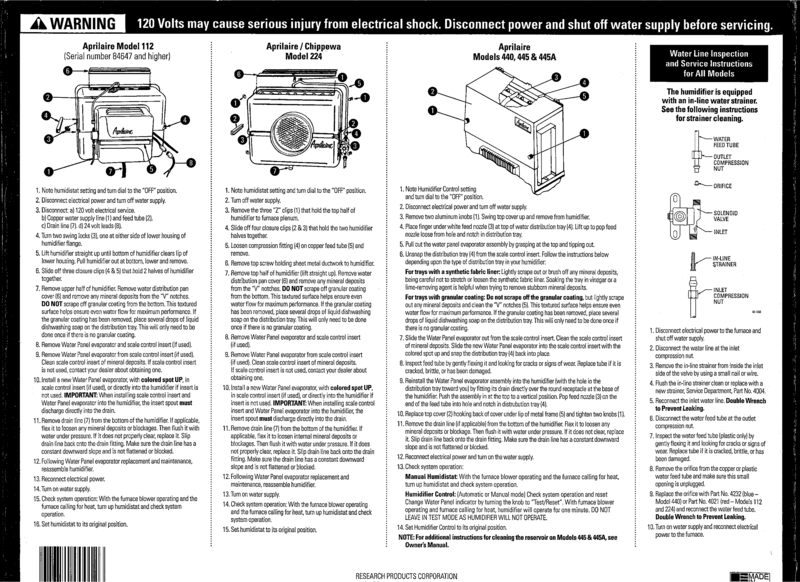 The instructions are also in the manual, along with our maintenance recommendations. Remember, if you have any concerns or simply don’t want to, Aprilaire has a network of partner dealers who can do it for you. Some dealers will even change the part as part of their annual clean and check of your heating system. Now, that’s easy! Try the Find a Pro Find a Pro feature on our website. You can find a list of dealers in your area and the products they service. Thank you! I ordered #10 from Amazon twice and both look to be used – i.e. filter shows white sand/rocks/calcium deposit accumulation and has yellow mark on top/side of the filter. Product pictures on Amazon and everywhere else happen to show same remarks so I’m wondering if the filters are supposed to be used and if so, why??? That is a coating that helps prevent scale buildup. The paint stripe you see is to denote the top of water panel. A used water panel will be more of a dark gray. 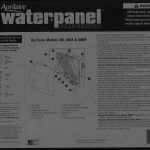 Where can I get a replacement water panel for an Aprilaire humidifier Model No. 60? What is the panel called (model number or other identifier?) Thanks.